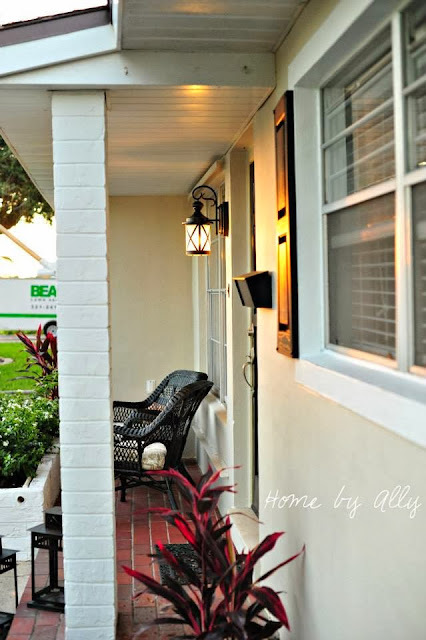 Home by Ally: Favorite projects of 2013 & what is to come in 2014! 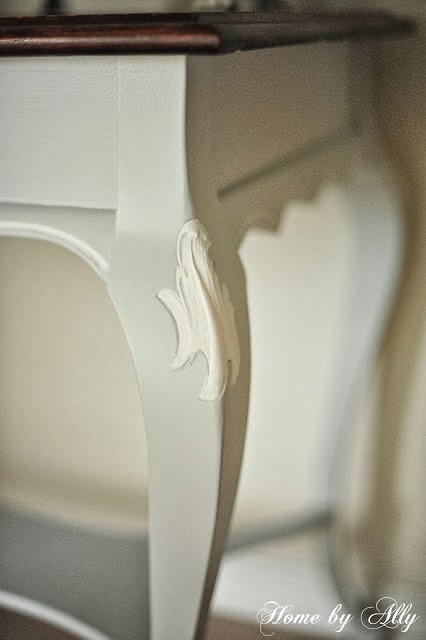 Favorite projects of 2013 & what is to come in 2014! I have to say that I am so excited for this next year coming up! We just arrived back from traveling to North Carolina for the holidays and I came back, revived and ready to work! Tonight I wanted to recap on a few of my favorite projects from this past year and later in the week, I will share what my plans are for 2014 and the projects I plan to take on. Earlier in the year before we even seriously started looking at homes to purchase for ourselves, we were renting out of military housing. I yearned to make it feel less like a house and more like "our home…" I think I achieved that in our time there and looking back at the pictures, I really worked with what I had well… or at least I would say so. It felt much like a home when we left it. 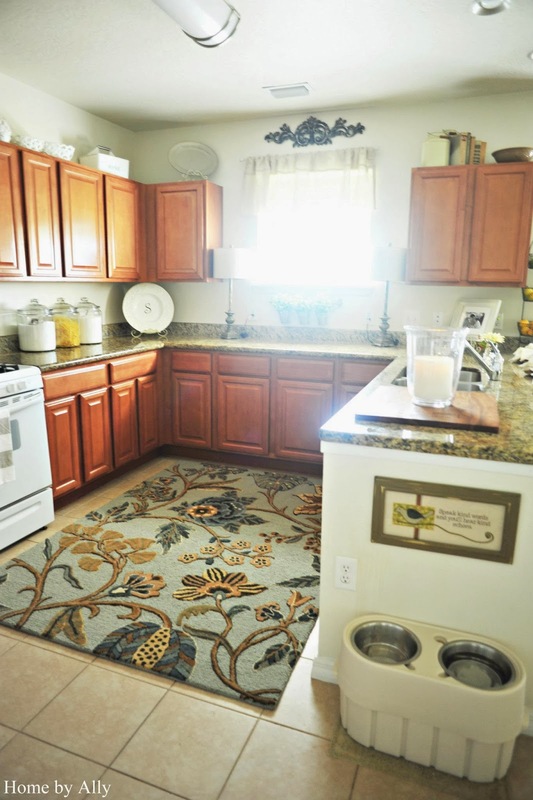 We added these lovely rug originally purchased from Target which instantly gave the whole kitchen a new feeling. You can read more about our rental and this kitchen here. 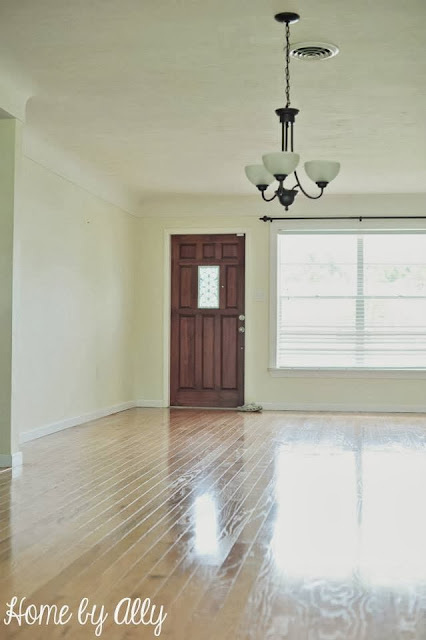 While we lived in our rental, I wanted it to look like ours and more importantly, to look very well maintained and cute of course. 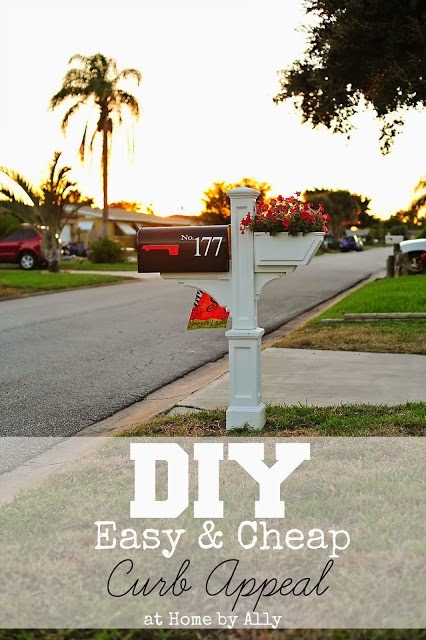 We did some small and very inexpensive projects to update the curb appeal in our rental. You can read about those changes here. We also had our fair share of furniture makeovers, a few repurpose sales and I moved into my space that I share with Lucky Day at the antique mall here locally. So far so good with that… although I have to encourage all of you to come visit more often! SO MANY treasures to be found! Below is a triple mirrored antique dresser. These beauty was drop dead gorgeous. A furniture sale, a month in the garage and no more of its matching paint later, it had a few scratch marks and dings… so I repainted it and sold it to a very dear friend of mine…get this…BRIGHT YELLOW! I love it, it had such personality. 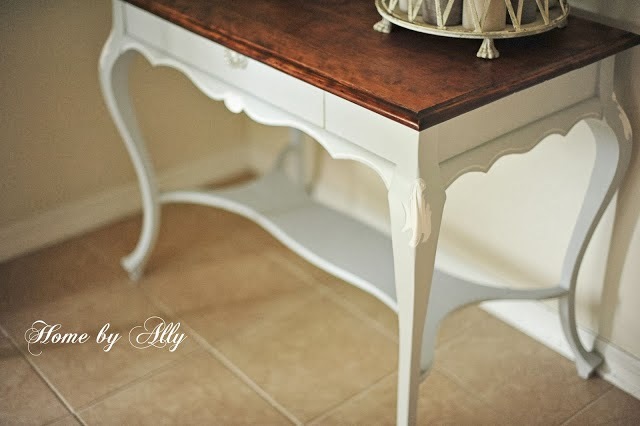 This dresser and the entryway table were my favorite furniture projects. 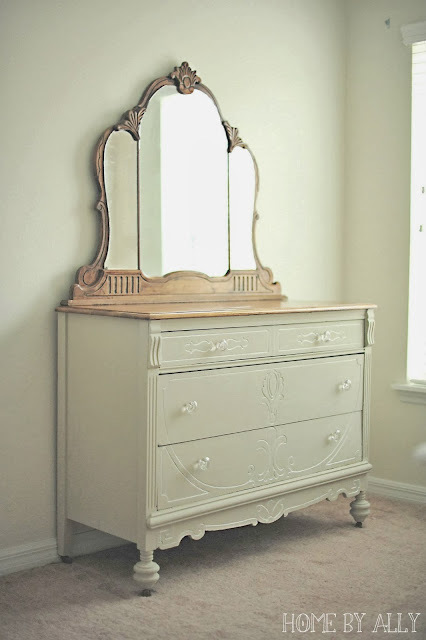 You can read about the dresser here. 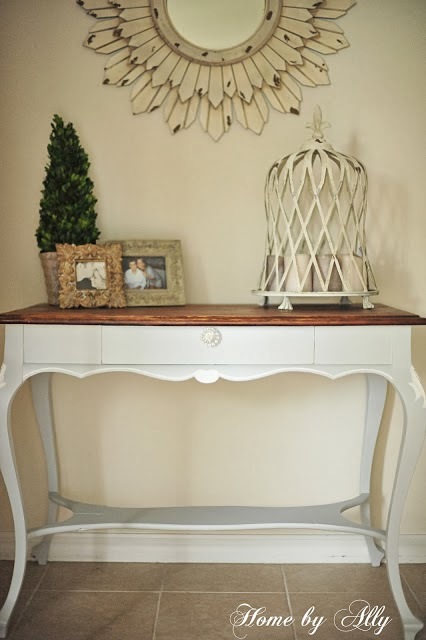 You can read about the entryway table here. 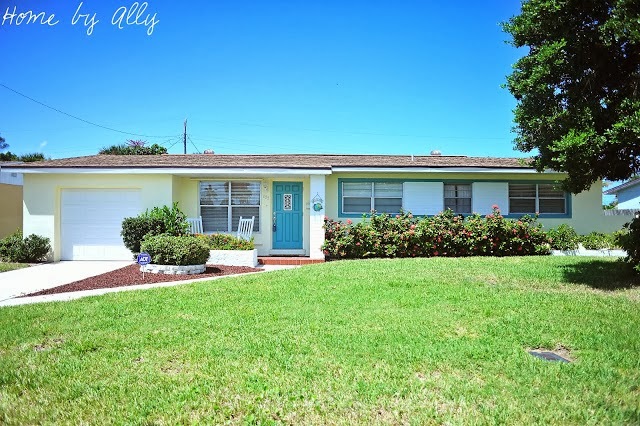 The last project I wanted to share with you that is definitely up there with buying our first home was flipping the outside of this house around! 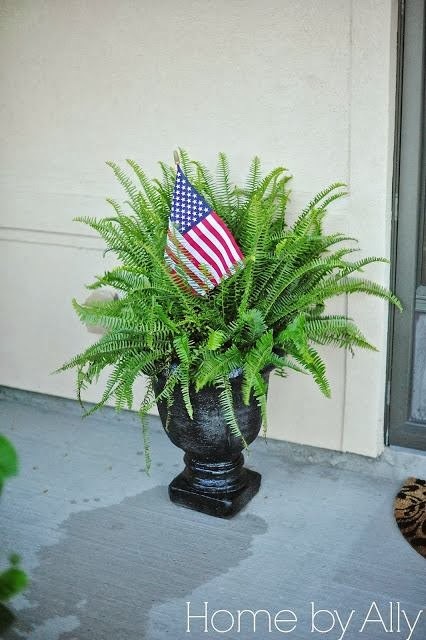 As they say… it went from drab to fab! ALOT of sweat equity and of course doing everything on a budget really satisfied us in the end. 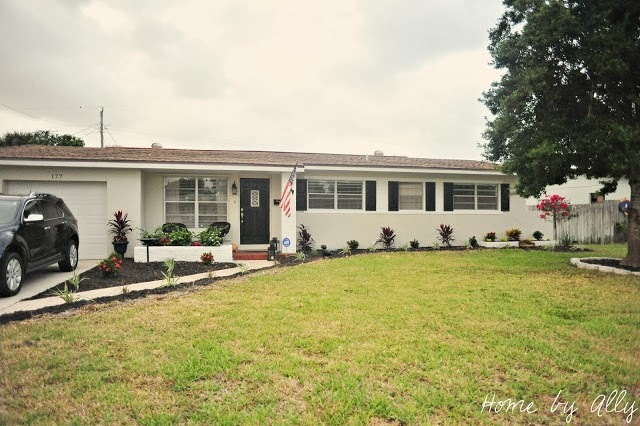 Here are a few peeks below of the before and afters of our exterior. You can find our source list and read the whole post including seeing all the pictures and details by clicking here. I just wanted to say thank you to y'all for all of your continued support. I feel like 2014 will be good to us…or at least I hope. I know for sure we will have more projects, more DIYS and more HOME TOURS finally! Thanks for listening as always and please have a safe and happy new year! I happy to always follow you!!! I think you will be bigger than you realize someday!!! !